Hi everyone and welcome back to #Blogtober. 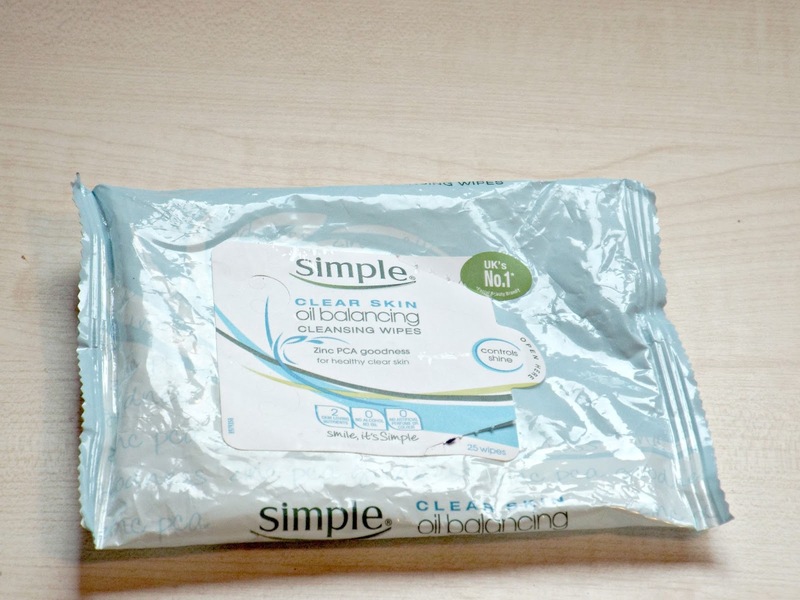 Today I'll be talking about and reviewing the Simple clear skin oil balancing range. 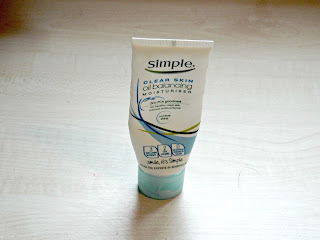 If you've been reading my blog for a little while you may have seen my two skincare post here and here, which describes my skin in more depth, but in summary it is oily/ combination so my t- zone gets oily but the rest of my skin is fairly normal. 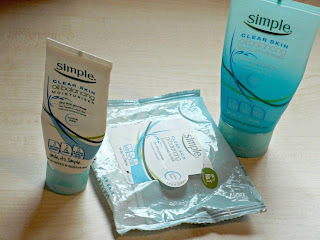 From the collection I have the exfoliating cleanser, face wipes and the moisturiser. 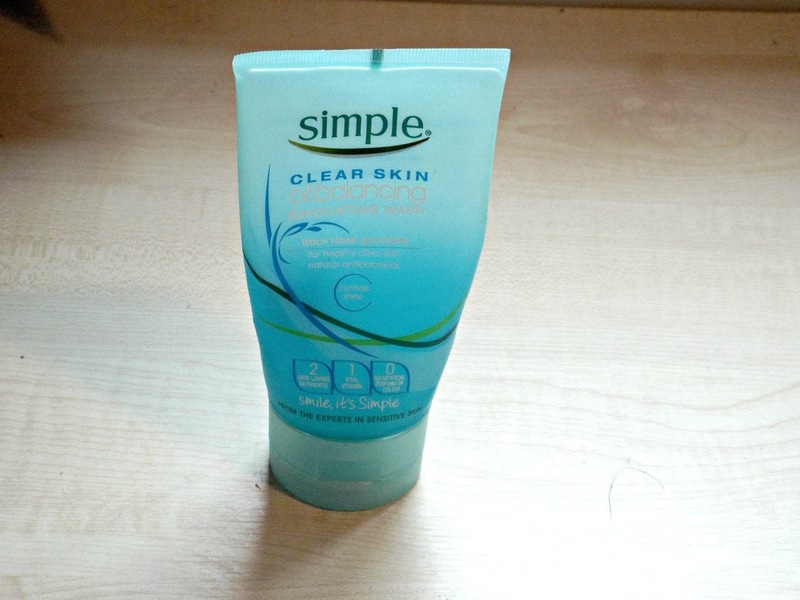 The exfoliating face wash is gentle enough for everyday use and Simple make their products suitable for sensitive skin. The moisturiser was the first item I bought in this range as I wanted my makeup to stay matte for longer and I believe that starts with the skin. As you can tell from the photo I am finishing my 3rd tube. I use it everyday and I love it. My mum and sister both have similar skin types to me and I've recommended the range to them and they love it as well. 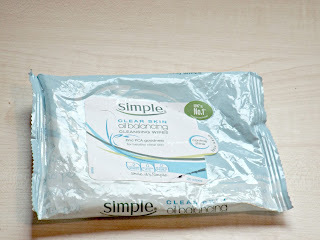 I'm actually going to stop using wipes as I don't think they agree with my skin very much and it is better to do a full cleanse but these are great for mattifying skin and removing excess oil which I get a lot. This range is available in Boots and Superdrug and are all under £5 so very affordable. A good time to stock would be in the 3 for 2 offers. Do you have any favourite skincare products? Have you tried Simple's products before?